After the fantastic weather – thunder and lightning. Looked outside about 11pm and saw that all the clouds had cleared so took the opportunity to get outside quick. By 12MN, it was surprisingly dark and I could even see the Milky Way – A rarity in Limavady! Rather than haul out my heavy lead acid battery, I tried out my 22Ah Tracer light-weight lithium power pack. This performed impeccably for the 90 minutes or so I was out. Eventually the cloud closed in, but I managed to see 5 new Messier objects and 4 Herschel 400s in Perseus. 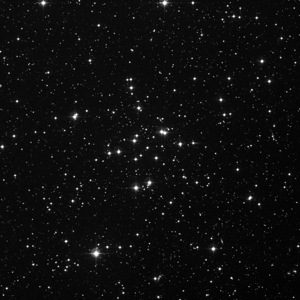 I used the iPAD app “DS Browser” to check that I was looking at the right open cluster – you just dial in the catalogue number and it produces a DSS image and some useful information about viewing times. Started observing about 1AM. The western sky wasn’t really dark. Spotted a couple of tiny planetary nebulae but at around 0130hrs, Sagittarius started to appear above my horizon. Sgr has a lot of Messier objects but I was only able to pick out some of the “upper” ones. The Swan nebula was quite impressive but I guess the prize has to go to the Sagittarius star cloud, M24, which is well, just a dense wall of stars in an adjacent spiral arm in our galaxy. M20, the Trifid nebula was excellent and I was pleased to be able to see it, without using filters. The central dust cloud that divides the nebula into 3 is designated Barnard 85 – a dark nebula. 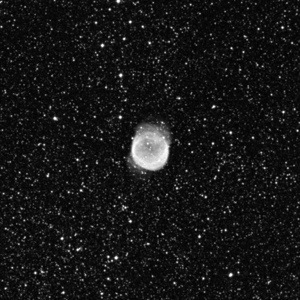 I tried to work through some Herschel 400 open clusters with my wide angle eyepiece (31mm Baader, x66 magnification) but thought they were all a bit underwhelming. In some, I could see tiny little balls of stars. When I checked afterwards, it was the tiny little balls that were the open clusters! I was just too zoomed out. To address this, I found a great IPad app, DS browser (full version) that can quickly show a Deep Sky Survey image of all the Messier, Caldwell, Herschel, NGC and other lists at different magnifications. This will be invaluable in correctly identifying objects. I do take my iPad out with me in a shoulder bag which also contains a red/green LED torch (green is better for reading), lists of targets, map books, pen, paper etc. it also makes a handy receptacle for eyepieces and general bits. I use Redshift for iPad as my “live” map.